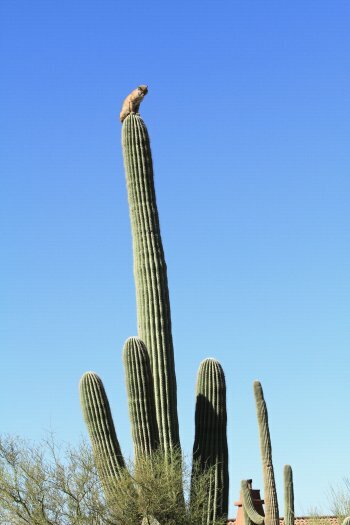 A bobcat that has scampered to the top of a saguaro cactus -- and it was quite a climb! The photos were captured in Gold Canyon , on the foot of the Superstition Mountains. The bobcat was trying to get away from a mountain lion that was stalking it, explains the photographer Curt Fonger. 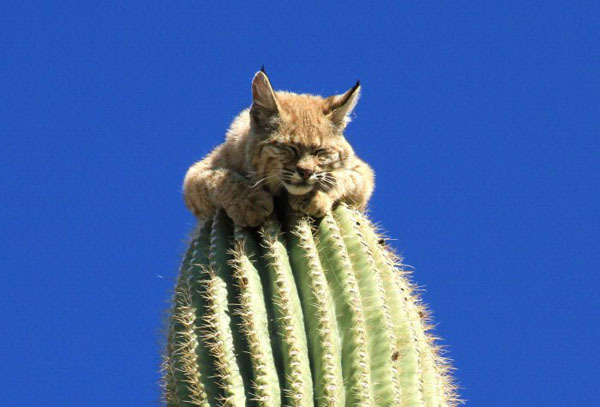 He darted up a 40-foot saguaro, and there he stayed for the remainder of the day. Curt Fonger and his wife Marta are living out their golden years on wilderness' edge in Gold Canyon . With over 40 years of photography experience, Curt recently had a career-defining moment. 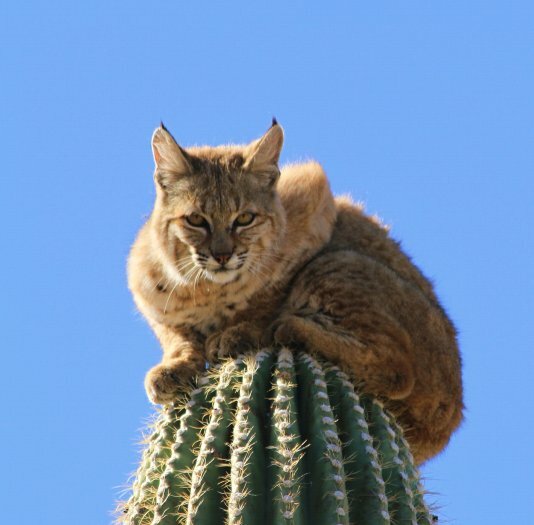 "I've never had the luxury of seeing a bobcat on top of a saguaro," he says. "Just a beautiful creature, he was displaying himself proudly, kind of looking around, probably trying to see if mister mountain lion was still around... it was almost if he was posing!" 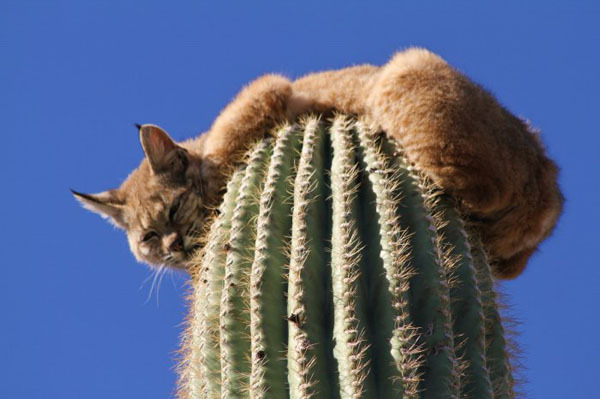 "He was pretty relaxed, he kind of laid on top of the saguaro, shut his eyes, almost as if he was sleeping." 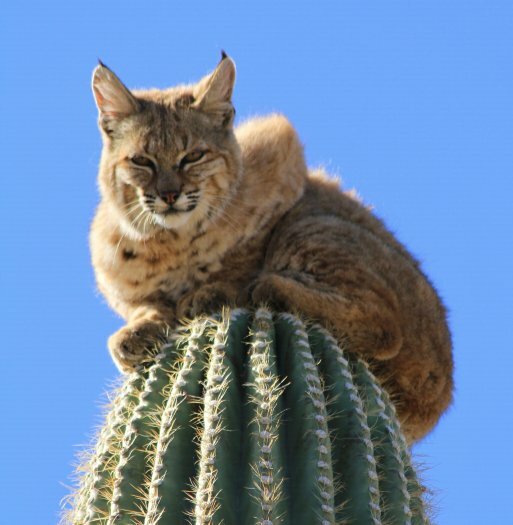 The bobcat eventually came down, but Curt and Marta are still riding high. "It was that Kodak moment I think every photographer lives for."